Leave it to the company that started the small box mod craze to bring temperature control to the masses. But wait, is this temperature control? That's what the TC in the name stands for, but it's not - NOT - temperature control. It IS temperature protection, though. Once the temperature is set, the chip will work to ensure that the set temperature is never exceeded. This means no burnt hits... no dry coils... no smoke and combustion. Certain metals - wire - has a predictable resistance at set temperatures. This is called the TCR or Temperature Coefficient of Resistance. Nickel (Ni200), Titanium (Ti #1 and Ti #2), and Stainless Steel all have stable TCR curves. The chip inside the mod reads the coils resistance when it's installed (which is why TC mods are always asking if it's a new coil or an old one when you switch atomizers), and then continuously reads the coil's resistance as the device is being fired. The iStick TC40W is only calibrated for Ni200, but alternate wire can be used if the temperature is adjusted appropriately. Do so at your own risk! For instance, the TCR of Ni200 is approximately .006. This means that for every 1-degree C that the temperature rises, the resistance rises .006 x the original resistance. If a .2 Ohm Ni200 coil is installed at room temperature - roughly 20-degrees C or 68-degrees F - and is recorded, then fired the temperature of the wire will, obviously, increase. If the temperature has increased, so will the resistance. The chip reads the new resistance and performs the necessary calculations and then regulates the wattage to prevent the wire from getting hotter than the selected temperature. Boiled down to it's simplest form, it means that you can set your temperature and then vape and only check the wick or tank when the vape gets weak. 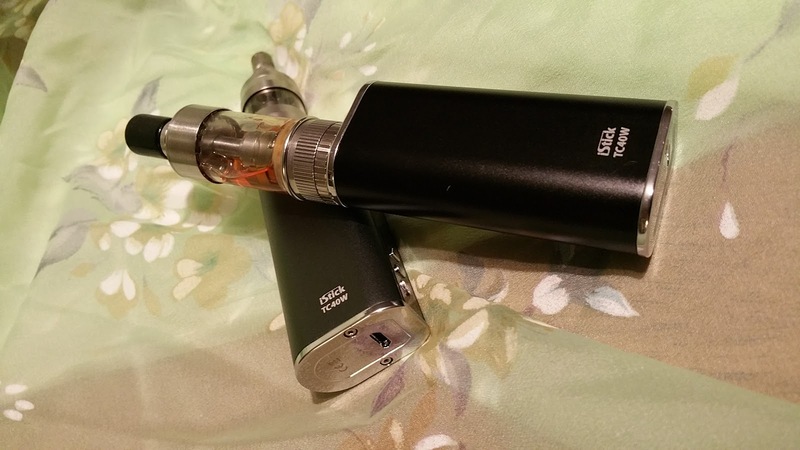 The Evolv DNA40 did it first, but the iStick TC40W did it right. How is this not temperature control? Thought you'd never ask! Since each atomizer is different, and each build inside each atomizer is also different, and each type of wicking materials is different in each build in each... you get the picture... It is impossible to calculate all the variables. And, at present, there are no on board temperature probes, so the temperature is a best guess based on the math. Regardless of what you call it, on most of the mods, it seems to work. Why would I say that iSmoka eLeaf iStick TC40W (whatta mouthful) has done it right? They've bypassed a bunch of fumble-fingered steps needed to get to the Temperature Control function. Gone are the days of clicking the fire button five times rapidly so that you can hold down the up down buttons simultaneously for three seconds before adjusting anything. Instead, you click the one menu button between the up and down buttons to toggle between wattage mods and temperature control mode. When in wattage mode, the up and down buttons control the wattage moving it up and down from a low of 1 watt to a maximum of 40 watts in .1 watt increments. The rate of increase or decrease speeds up as you hold the buttons down. In Temperature Control mods, the up and down buttons now control the temperature set point. The range is from 200-degrees to 600-degrees Fahrenheit or 100-degrees to 315-degrees Celsius. The wattage CANNOT be adjusted. It is set to 40 watts and that is all, period. Some people have argued that this is a loser, but it makes no difference in the long run. The wattage that might have been set only controls the ramp up time. After ramping up, the chip takes over, bouncing the wattage all over the place to keep the temperature stable. On YouTube these days, the national vaper's pastime seems to be trying to burn cotton on TC mods. Can cotton be burned on this device? Yes. If you set the temperature above the flash point of cotton and vape it dry, it can - and will - burn. If you're smart about your settings, though, this device provides a worry-free vape from full tank to empty. 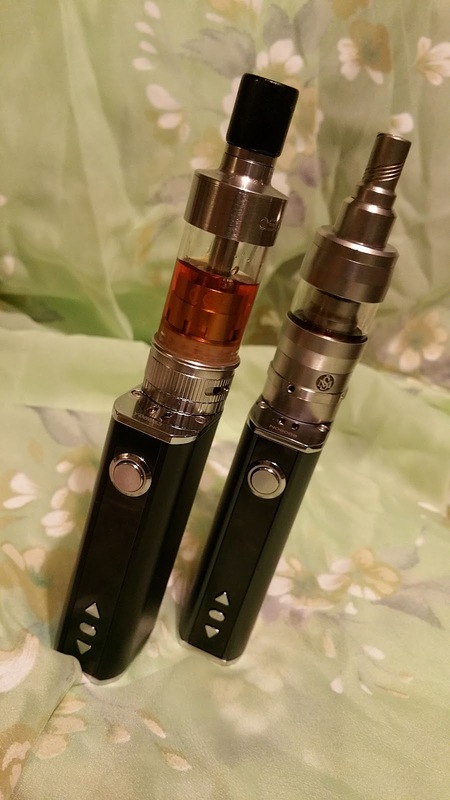 In Temperature Control mode, you can fire atomizers as low as .05 Ohms and as high 1 Ohm. Building a nickel coil to 1 Ohm (as if... that would take around 31 wraps of 32 guage Ni200) will likely kick the device out of Temperature Control and in to Wattage Mode. If temperature protection or Temperature Control is not your bag, you're still in luck as this is a very nice 40 watt mod that will fire from .15 Ohms to 3.5 Ohms. 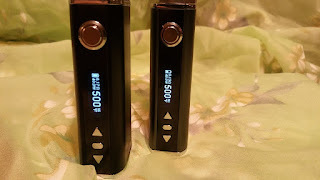 Regardless of whether the device is run in Temperature Control or Wattage mode, the clicky, rattle-free buttons and 2600 mAh internal LiPo battery will keep you vaping for hours. If you choose to build, the Ohms display is very accurate reading out to 2 decimal places. Some squinting may take place, though, as the OLED display that crams in battery level, resistance, voltage (in Wattage mode) or wattage (in Temperature Control mode), and temperature (in Temperature Control mode) or wattage (in - you guessed it - Wattage mode) hasn't increased in size from the iStick 20W of yore. The body of the device is quite nice. A chromed top plate houses a stainless steel 510 connector with a spring-loaded center pin. That 510 connector is set back from the lip of the mod so that - without the ledge of the iStick 30W - any 22 mm atomizer will sit real pretty. 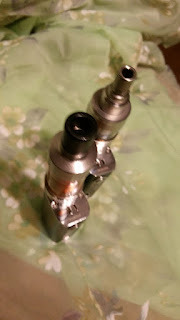 On both of the devices that I have purchased - one from Vaportek USA and one from The Vape Mall - the 510 connector does protrude ever so slightly so that atomizers will refuse to sit absolutely flush with the top plate. This is a fraction of a millimeter and hardly worth mentioning, but it IS there. The top plate also features a double slot cut into the top to allow for the use of a lanyard. Beneath the top plate is a sleek body made from what appears to be anodized aluminum. The finish is quite sturdy - but I'm also pretty gentle with my devices, so don't take my word for it. eLeaf has released this version in black, silver, blue, and gray. That body is rounded on one side and flat where the controls are located so fumbling with the device in the dark is quite easy. The buttons are raised enough to find and press easily enough, but no so elevated to make accidentally hitting them a real problem. On the bottom is another chromed plate. This time, the plate has a raised edge and the USB charging port sits in that small recess. This not only protects the USB port (which is back to being poorly placed as now the mod must lie on its side to charge), but eliminates some of the not quite sharp edges around the screw wells I felt on the iStick 30Ws base. Finally, a reasonably priced, authentic mod with Temperature Control. This is a device I will certainly keep in my arsenal, and one that I feel comfortable recommending. Finish 9/10 - I like the device, but wish the screen were a little larger. Form 9/10 - Very comfortable to hold and easy to use, even in the dark. Function 10/10 - I have had zero problems using this device in either Wattage mode or Temperature Control mode. The vape - once the proper temperature or wattage is dialed in - has been great! Final - 9.3/10 Solid A!